Comfort Food is Comforting, Carb-y, and Tasty! I don’t know about you, but I have been having one of those weeks. You know, the ones that for some reason start off rough and just continue along that path. Not as bad as what some are experiencing, but still bad enough to take you off your game and make you feel blah. If I had a better word to describe the feeling, I would use that. When I am feeling in a manner that can only be described as “blue,” I have 3 treats that I turn to that help lift my spirits. The first is PB&J on a cracker. I can almost hear y’all asking, “But Mel, why don’t you just put it on a piece of bread?” Maybe it is the playful and portable nature of the cracker, or that it reminds me of my childhood, or maybe it is the crunch. 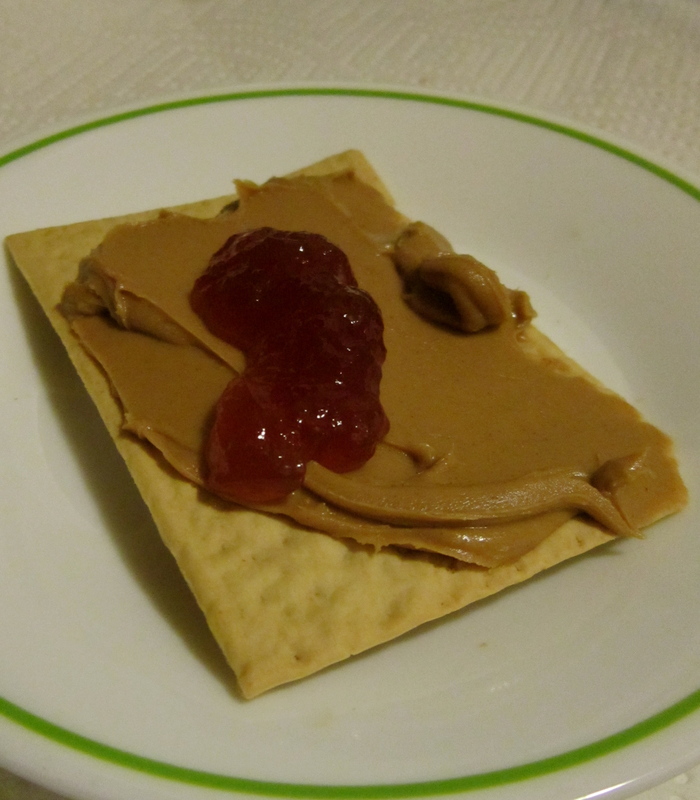 Whatever it is, I love to smear creamy peanut butter on a Ener-G cracker with a dollop of jam. For this treat, I always use the Ener-G brand crackers because they are firmer and will hold up to the pressure of the peanut butter being spread. A couple of these crackers, and I tend to have the hole in my belly filled and get the start of a smile. When my tummy hurts, the one comfort food I crave is not a food at all. It is a beverage created in Detroit, is very much a Midwest thing, and sometimes I feel like it is primarily a Michigan thing. When my stomach hurts or I want a taste of home, I look for the green Vernors label. 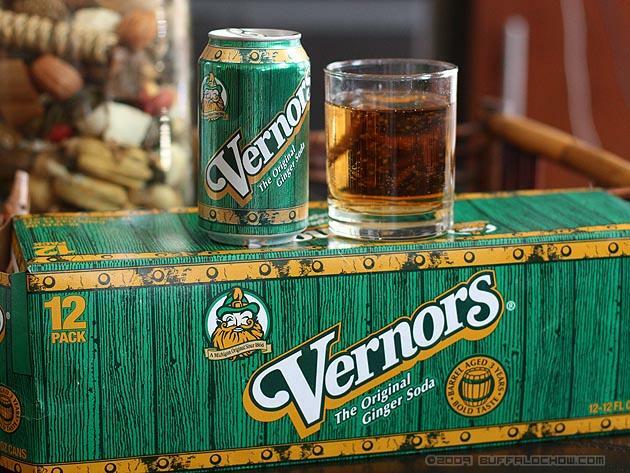 Vernors is a ginger ale that is aged in barrels giving it a different taste profile than other ginger ales on the market. I wish I could describe the flavor accurately, but since I have known the flavor all of my life it is pretty impossible to do. All I know is that no other ginger ale feels like a warm hug from a loved one. Which is the ultimate purpose behind comfort foods, right? I was fortunate enough to know one set of my Great-Grandparents. And not just know them in a vague sense, know them in we would road trip a couple of times each year to see them, they were alive throughout most of my high school life, and my Great-Grandmother passed after I graduated from HS. So I have very specific memories of visiting them. The TV remote on a wire, my Great-Grandfather in his chair, the fully decorated fake Christmas tree residing in their basement inside a garbage bag. But most of all, I remember the treats my Great-Grandmother Mynette would have for us. The trip never felt complete if I did not have at least 1 graham cracker frosting sandwich. 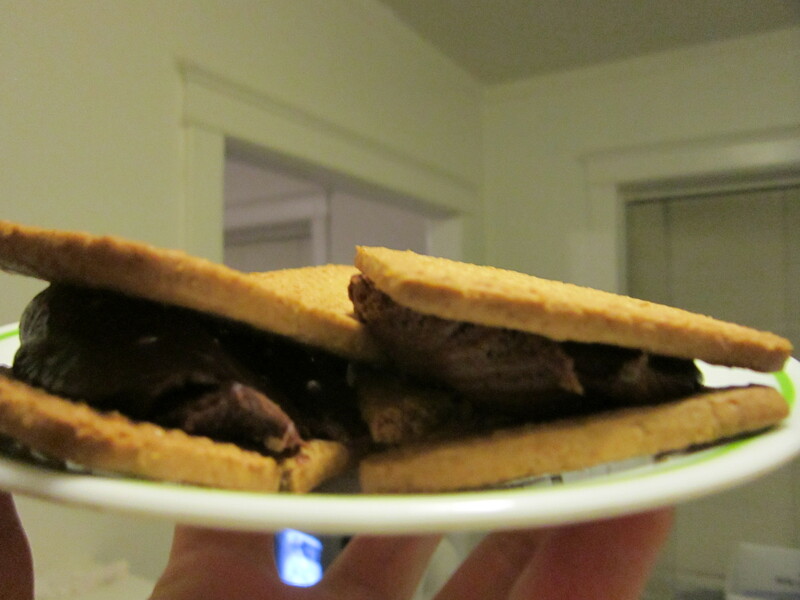 It is what it sounds like: 2 graham crackers with a dollop of homemade frosting between them. When I was first diagnosed, these were the things that I mourned the most. Granted, I never made homemade frosting but grabbed a can of Betty Crocker when I had a craving or need of home, but still. It was the lost that hurt the deepest. Then my mom found the Schar Honey Grahams and I could have that taste of memory again. The Schar grahams are almost perfect, as they do not break too easily, and they have that graham cracker taste that I love. When I am having a rough week like this one, I am glad that the grocery store is not far away and that I stashed a box of Schar Honey Grahams in the back of my cupboard as an emergency pick me up. Graham Cracker Frosting Sandwiches. Ready to help lift my mood! The only downside about comfort foods is that they do not seem to be too good for you, or your waist line. But that is the thing about comfort, it is supposed to make you feel better, pounds be damned! What about you? What is your favorite comfort food?